Let’s say for a minute that 2017 didn’t happen. 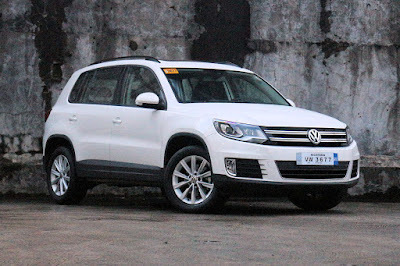 With that, Trump wasn’t sworn as the US President, #MeToo didn’t happen, and Volkswagen Philippines never showed the second-generation Tiguan. Alas, history has been written and no one could go back in time; well, perhaps except for the people over at VW. See, this is the 2018 Tiguan—a model that erases the existence of the current-for-the-world Tiguan and instead gives people back the first-generation one. The move may seem like an odd one given how fast design and technology moves, especially in the automotive sector. Yet, there’s reason behind their madness and that comes in the form of its price: P 1,648,000. At that level, they’ve managed to undercut every single Japanese compact crossover and most Korean ones, with the exception of the bottom-rung fleet specials. More than that, they’ve actually managed to engineer and equip it to better suit Filipino families. 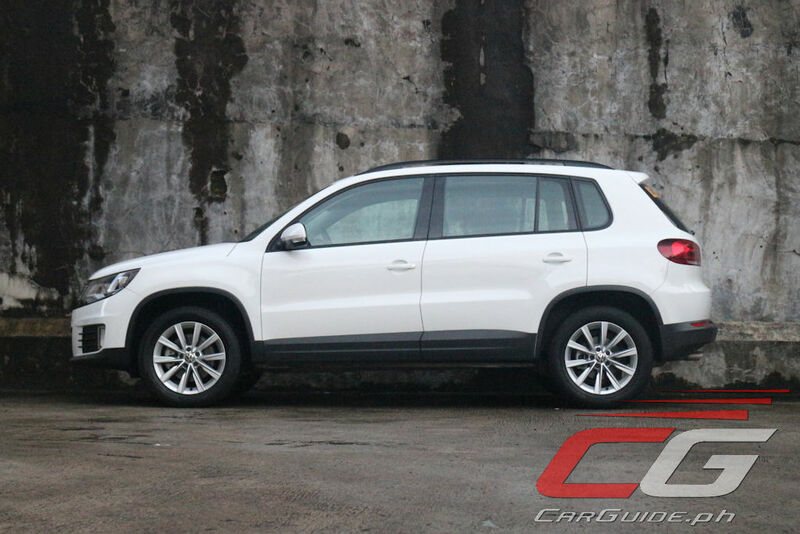 For one, the new-for-2018 Tiguan gets stretched with 80 millimeters ending up between the front and rear axles. The additional wheelbase, and corresponding overall length for that matter, enables it to shake off its “in-between” sizing; going full-blown compact SUV this time. That additional stretch has also managed to improve the overall proportions as well. 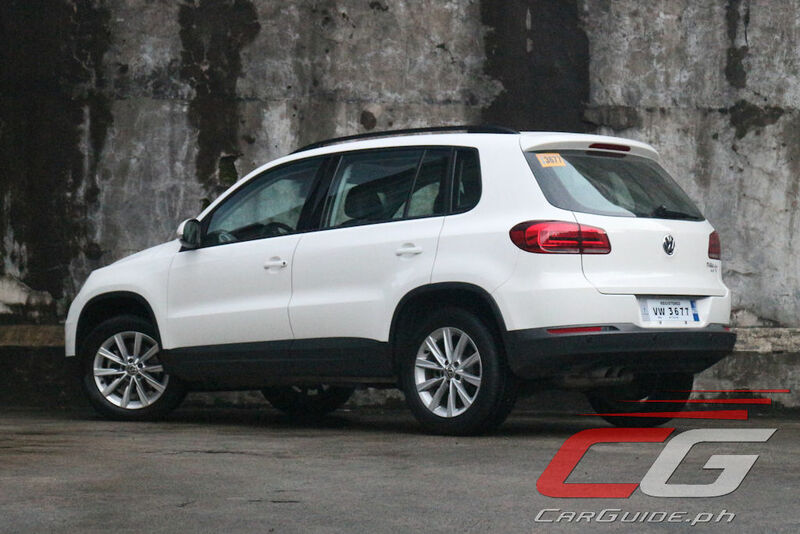 As far as compact SUVs go, the Tiguan’s a clean effort, design-wise. The story about its styling is a well-told one, but minor tweaks do manage to inject a bit of flavor. 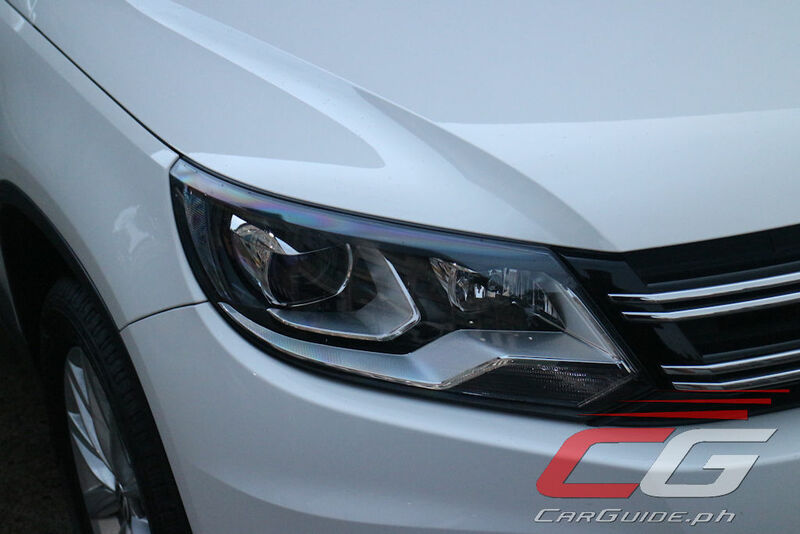 Among the changes this year include a tweaked grille, GTI-esque look-fast rakes at the corners of the front bumper, and LED taillights finished in a Touareg-like pattern. It’s also worth noting that the 2018 model also gets HID headlights and a panoramic sunroof. Like the exterior, the interior’s all too familiar. The design doesn’t call much attention to itself, but at least it manages to look neat and logical. 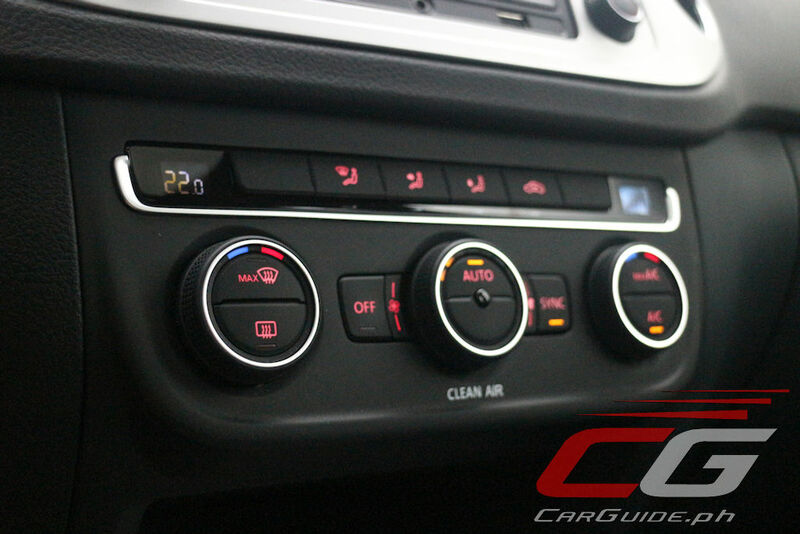 All the buttons, stalks, and controls are solid and crisp, always within easy reach of the driver; while the gauges are large, logical, and highly-legible. 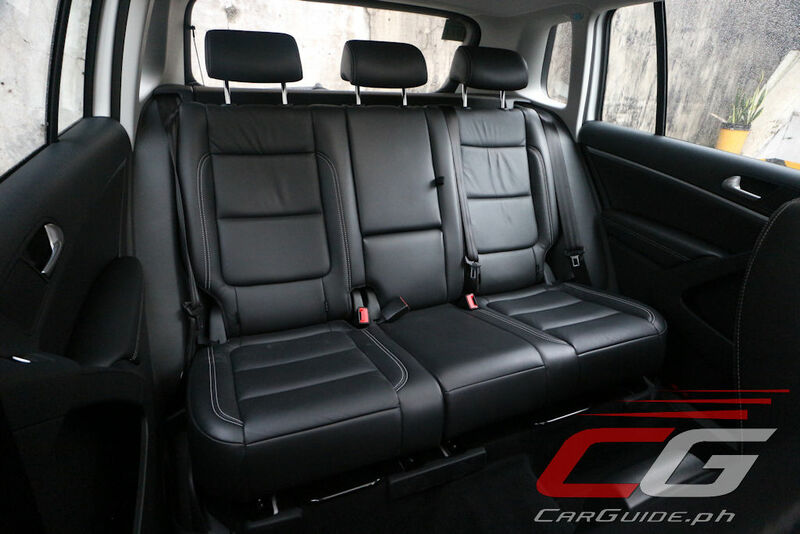 Fit and finish is generally alright with the “Vienna” leather seating and satin-finished aluminum trims deserving special mention. 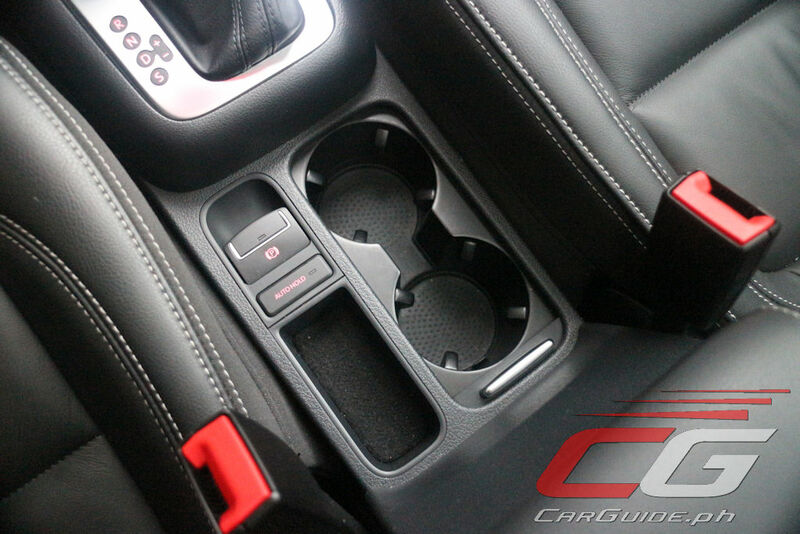 However, it must be said that there’s still some expanses of hard plastics, particularly on the doors and lower dash. 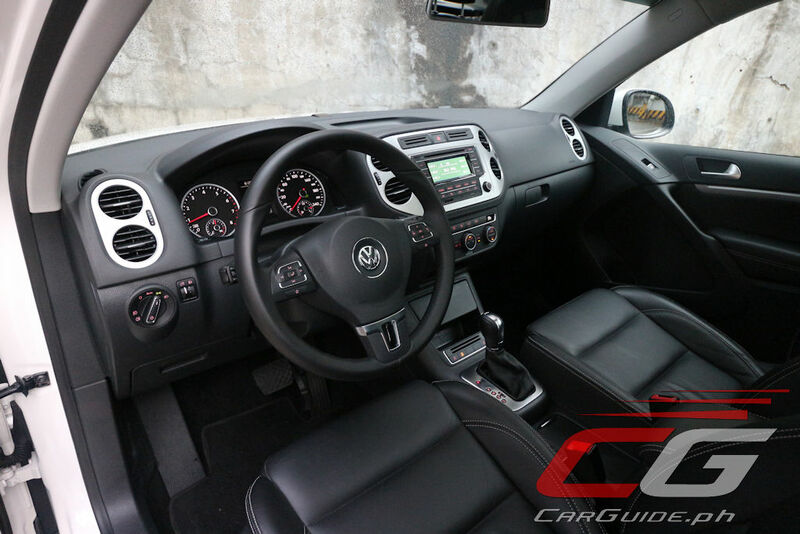 Getting comfy with the Tiguan’s easy with power adjustment for the driver’s seat and a steering wheel that offers ample amounts of adjustment for both reach and height. 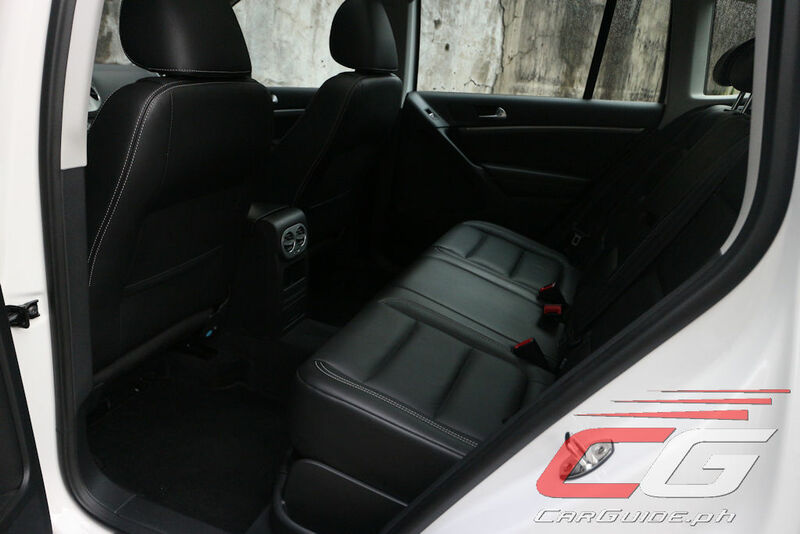 In the end though, the seating position’s higher up than usual, giving a more commanding view of traffic at the expense of a less than sporty feel. Still, visibility is mixed and that’s because of an unusual culprit: the side view mirrors—they aren’t wide enough to catch motorcycles approaching from the rear flanks. 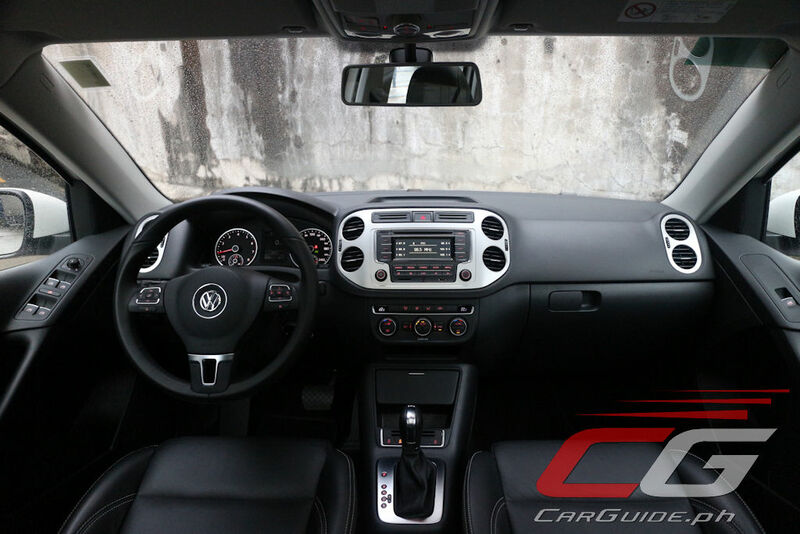 Back in 2014, Volkswagen already called the Tiguan “a miracle of space,” thanks to its well-planned cabin; so, imagine what all that added wheelbase will do four years on. 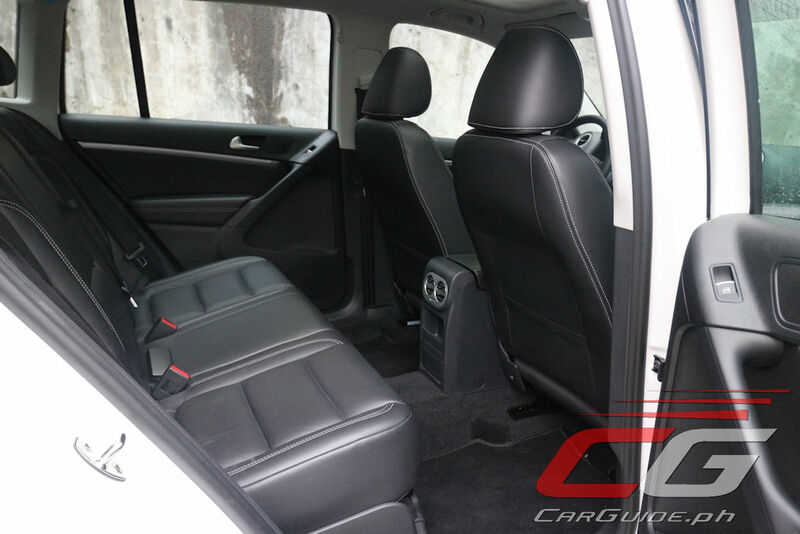 It’s insanely spacious with the rear passengers all being able to cross their legs comfortably with room to spare. 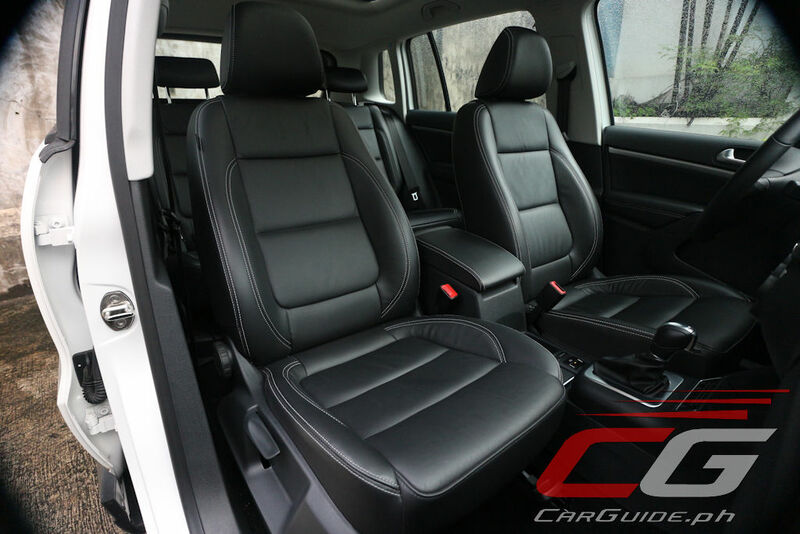 Front or back, the seats are both equally supportive and comfy. With all the room added to the cabin itself, the cargo hold remains more or less the same as before. It’s not really that big, but at least there’s plenty of adaptability thanks to the rear seats folding in a 60/40 split; there’s even a center pass through for longer objects. And get this, it also slides fore and aft. 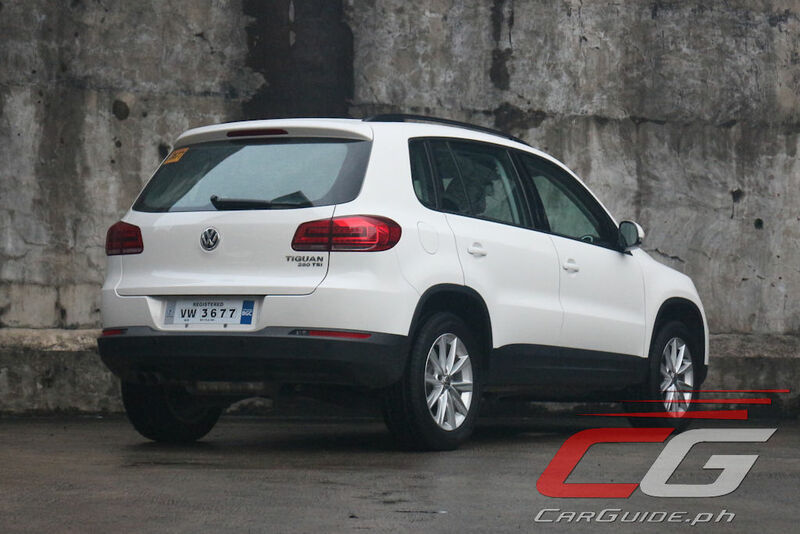 Apart from the Tiguan’s newfound interior space, another big change is found under the hood. 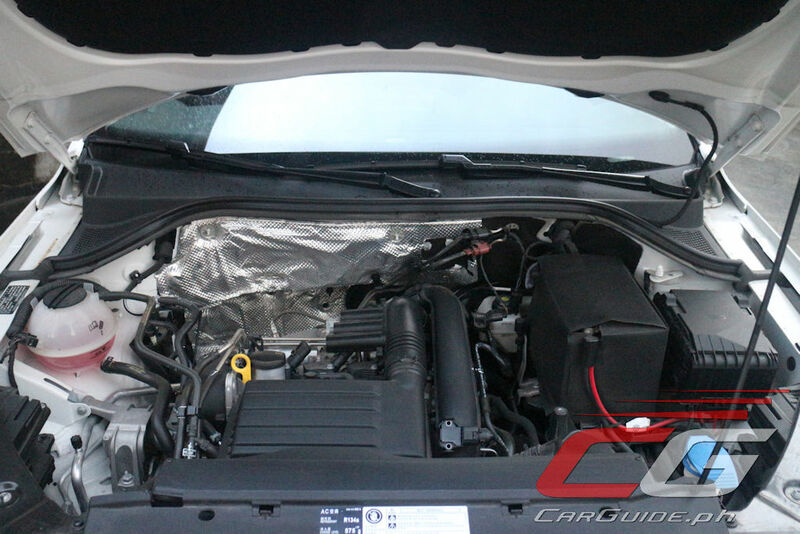 The 2.0-liter diesel is gone and in its place is a turbocharged 1.4-liter gasoline engine. With 150 horsepower, it makes the same level of power as the oil burner, but with 100 Nm less torque. Driven with a light foot, power delivery is largely smooth and refined. 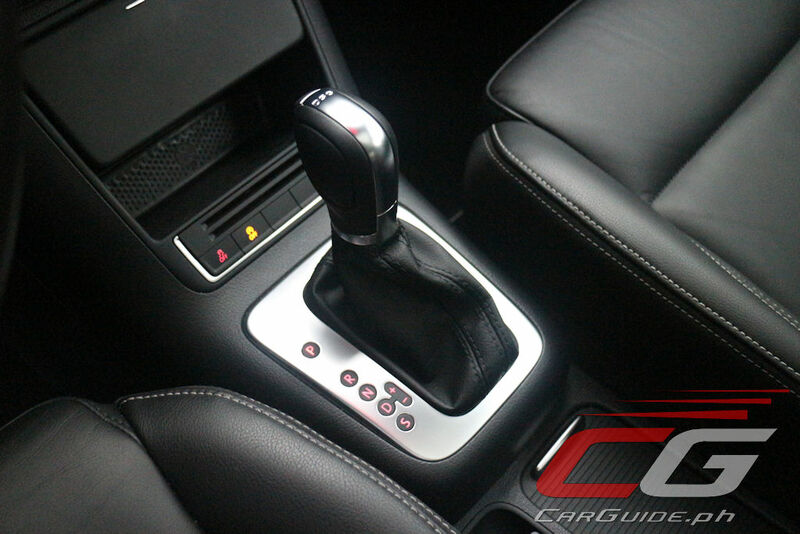 However, add a bit more pedal stroke, it turns cantankerous with an odd, and somewhat unpredictable on/off power delivery. Unfortunately, that power surge doesn’t last long as the engine loses steam quickly. Equipped with an idle start-stop system, the fuel economy’s close to diesel-like levels: 9.90 km/L; however, it’s not exactly the most refined system in the lot. 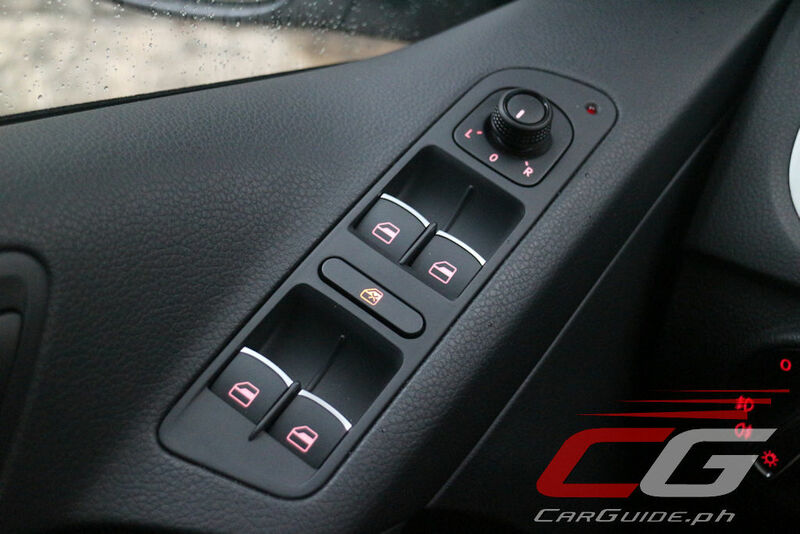 Each time it engages, there’s a split-second when all major electrical components like the steering and wipers would turn on and off automatically. It’s an odd occurrence and one you never get used to, even after a week of driving. Despite the unassuming high driving position, the Tiguan actually handles more like a wagon than it does an SUV. The stretched wheelbase didn’t seem to upset the overall balance since there’s almost no body roll. Handling is also remarkably neutral even through tight bends, helped with its fairly accurate steering. The ride, while still firm, is way better than the old short wheelbase model. Not only is it great on smooth roads, but it can also soak up patched up roads and broken tarmac with equal poise. 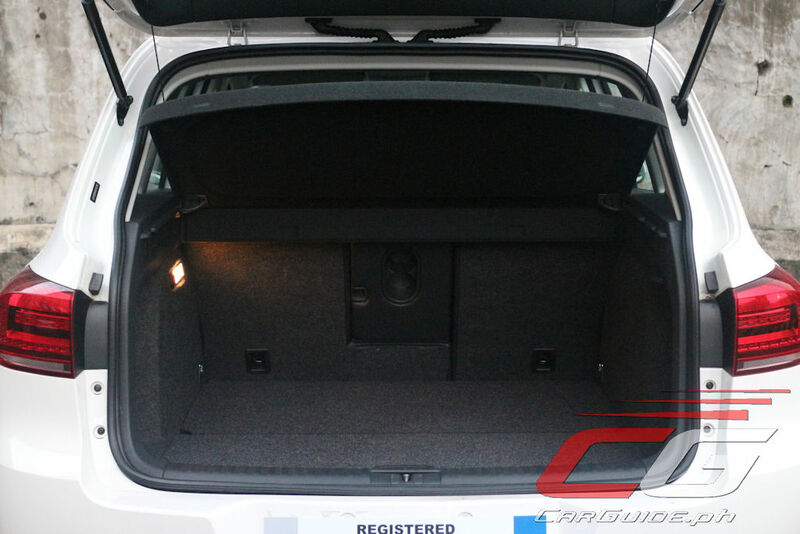 However, it must be said that the expansive panoramic sunroof does result in some telltale chassis flex, specially when going over heavy bumps or uneven terrain. 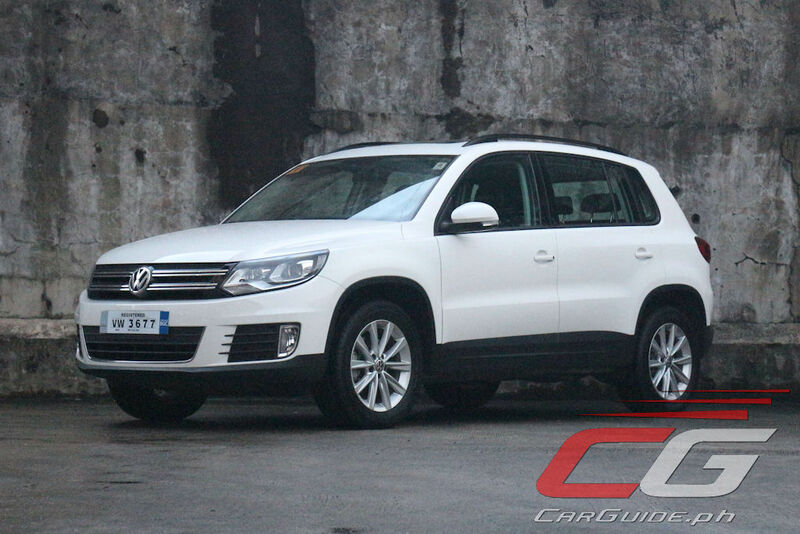 The erasure of the MQB-based second-generation Tiguan from local memory may seem weird, but there’s a precedent in other markets as well (see the Tiguan Classic). 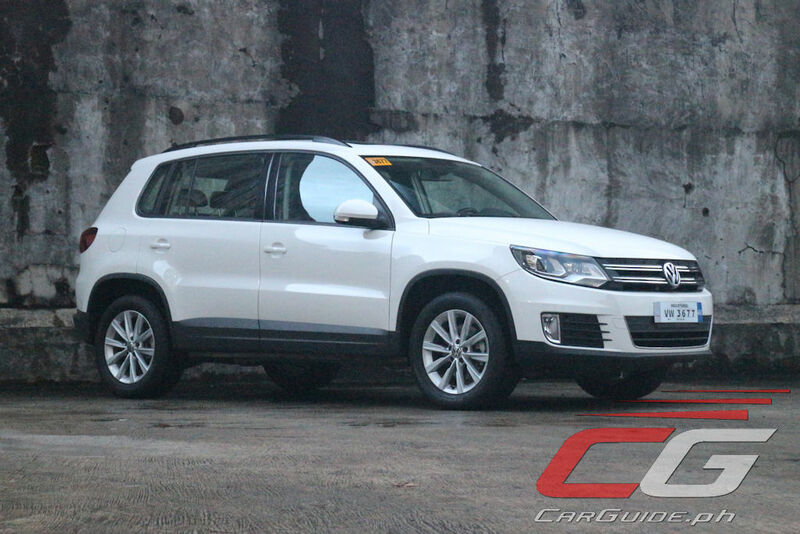 However, more than just reviving the first-generation Tiguan for price’s sake, Volkswagen Philippines has actually managed to get things right this time. Not only is it better priced, but better equipped and better suited for Filipino families. Tearing expectations apart, the 2018 Volkswagen Tiguan 280 TSI is a great value-oriented crossover. It may not sport the sleekest design or most dynamic handling in the lot, but it’s got practicality in spades. It’s for this very reason that it’s become a convincing package. 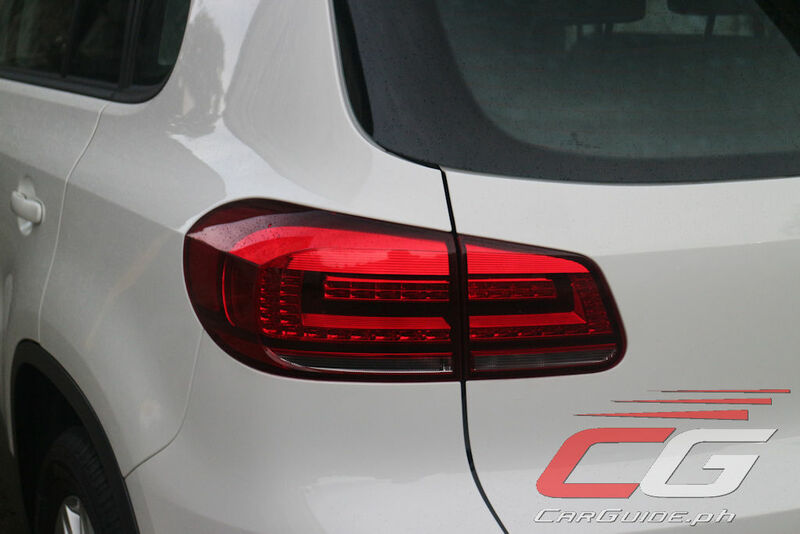 It's sad and frankly insulting that Volkswagen has chosen to sell outdated and China-built versions of their vehicles especially when the Jetta, Golf and Golf GTS have proven to be sales successes due to their upscale feel and German understatedness despite a price premium. 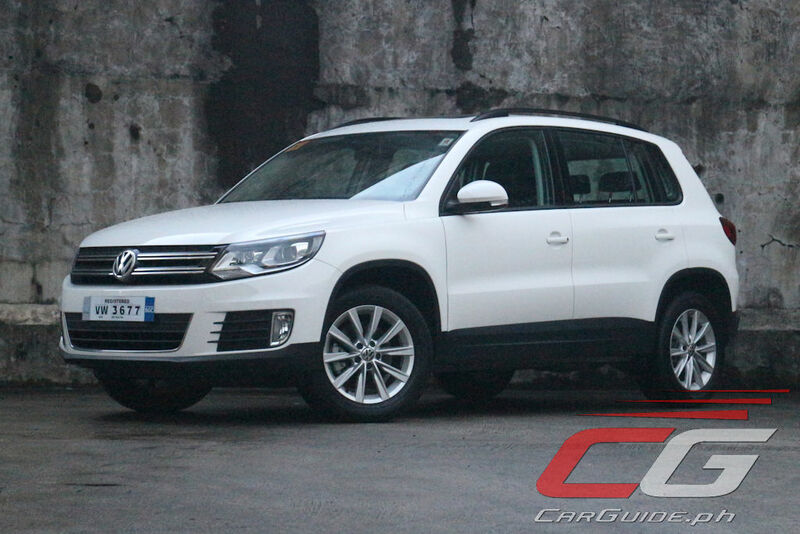 This "new" Tiguan may be cheaper than nearly all of its newer competition but not by much. Hope these efforts of Volkswagen to cheapen the line-up fail and prompt them to provide first-rate products again. 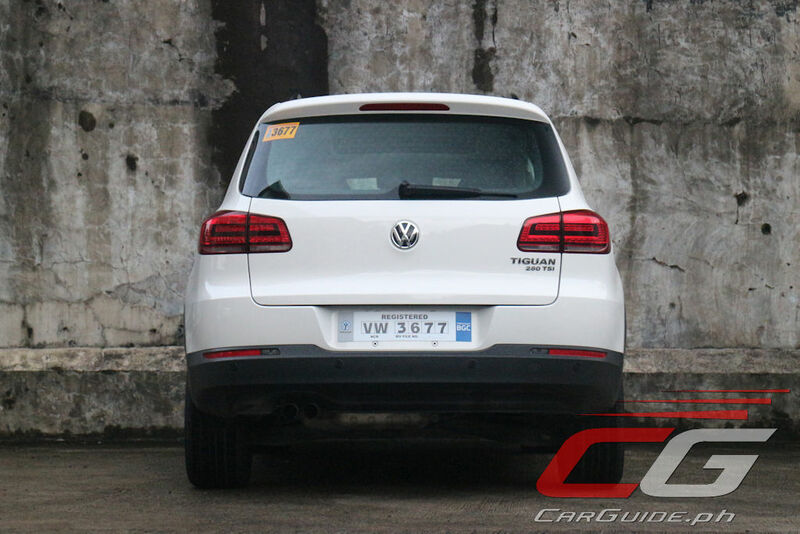 The Jetta and especially the Golf GTS were dieselgate rejects, they made the Philippines the dumping ground... note especially the Golf GTS were all unsold US market Golf sportwagens. That and Ayala corporate incentives made the pricing very appealing so buying them were no-brainers. But now that the lineup has been completely changed, I fear for the parts availability for the discontinued Germany/Mexico-built earlier models. Almost forgot about Dieselgate. Selling those models here is such a despicable act. I'd never buy a car with a DCT especially a VW. That's like playing with fire. 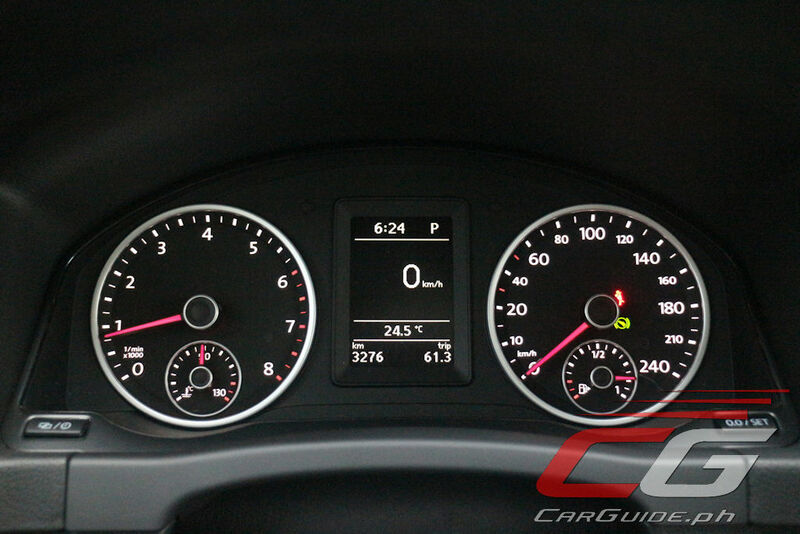 Vw DSG is actually very reliable. Selling an old model as a new one is never a good thing. There is always an existing target market for products introduced in the market; otherwise, VW will not make new models. However, this is an old model. Who in the right mind would shell out that amount to buy an old model vehicle whereas there are so many options out there. BTW, did VW even think about who their target consumers are for this model? Let's say they know who these people are. I would suppose that these are people who are die hard VW Tiguan fanatics who are old-school and have cash to burn. 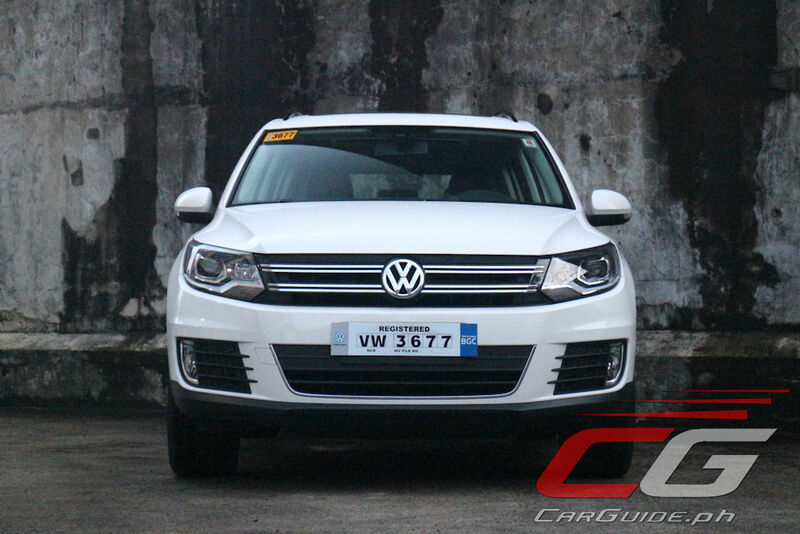 Volkswagen is still manufacturing and selling the previous generation Tiguan in other markets "Classic Tiguan" which is great news..The Chinese-spec Tiguan LWB is actually reliable according to many Chinese VW owners from China..WV-SAIC also manufactures the New Tiguan LWB but VW Philippines decided to sell here the cheaper older Tiguan..Selling a 2.2 Million SUV like the New Tiguan is tough for VW Philippines. 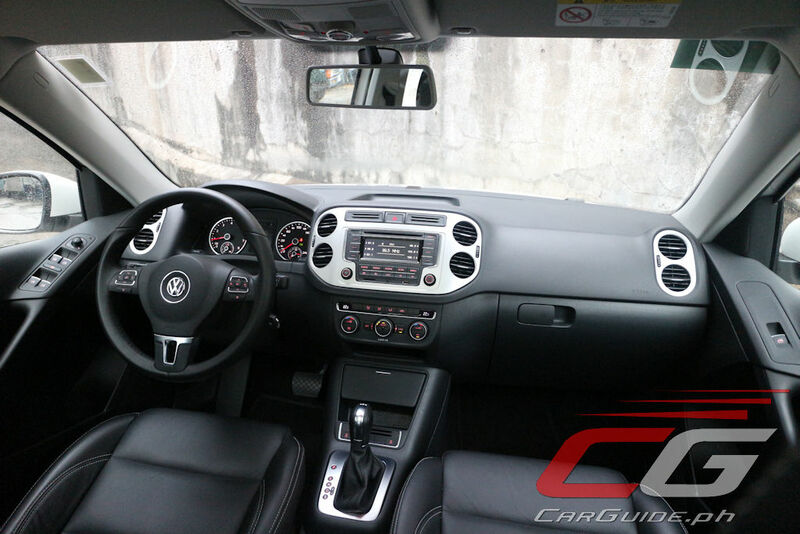 AFAIK VW-SAIC manufactures smaller SUVs that are cheaper than the Classic Tiguan LWB.